Expert recommendations on the best lightweight backpacking rain jackets and down jackets on the market. Protecting yourself against exposure is a key part of staying safe in the wilderness. A trusty rain jacket and a warm puffy coat will help you enjoy your trip and control your body temperature in harsh conditions on the trail. The lightweight jacket market is constantly evolving and innovating. Jackets are obviously a highly personal decision that will depend on your preferences and budget. Opinions vary widely about the best jackets and below you'll find a few of our favorite choices. There are lots of expensive rain jackets out there, but you shouldn't have to break the bank to keep yourself dry in the woods. Affordable options like the Frogg Toggs rain suit (10oz) and O2 Original jacket & pants (10oz) will get the job done, but they will also have durability issues. That's why we generally prefer stronger rain jackets and pants. 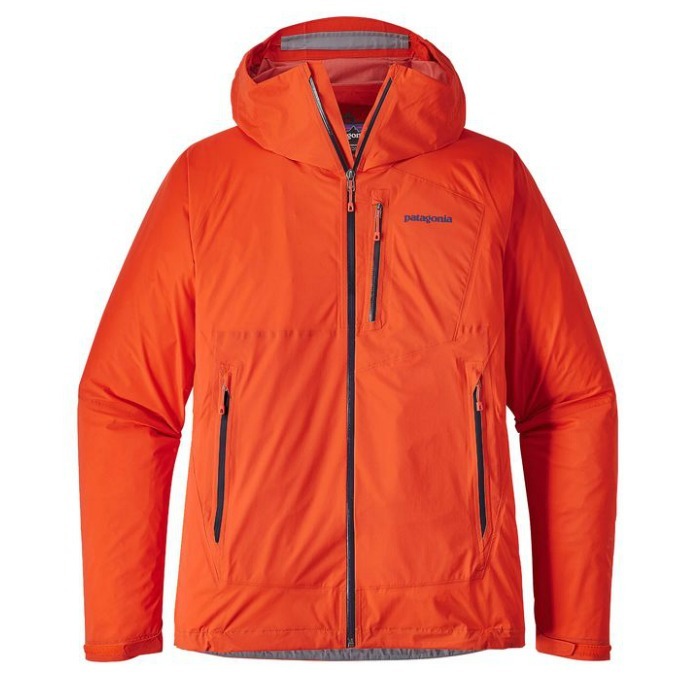 We also like jackets from companies like Patagonia and Arc’Teryx, but those choices can sometimes be pretty expensive. Still, their quality is excellent and we often feel they're well worth the cost if taken care of properly. We hope our jacket guide will help you to narrow down your choices and find a good fit for you. As part of our Lightweight Backpacking Gear Basics video series, we put together the video below on ultralight clothing and rain gear. Some of our choices have changed a bit in the years since the making of this video, but there's still a lot of useful info in there. Skip to 3:25 in the video for information specific to Rain Gear and Down Jackets. Lightweight jacket manufacturers often cut out unnecessary extras from their coats to save weight. Many ultralight coats have a smaller amount of pockets, cinches, and zippers that add weight. Ultralight jackets also tend to be built with thinner materials, which makes them not quite as durable as heavy-duty jackets in the long run. That said, in our experience, ultralight rain shells will still last for many years if treated with care, and we tend to find the weight savings well worth it on the trail. 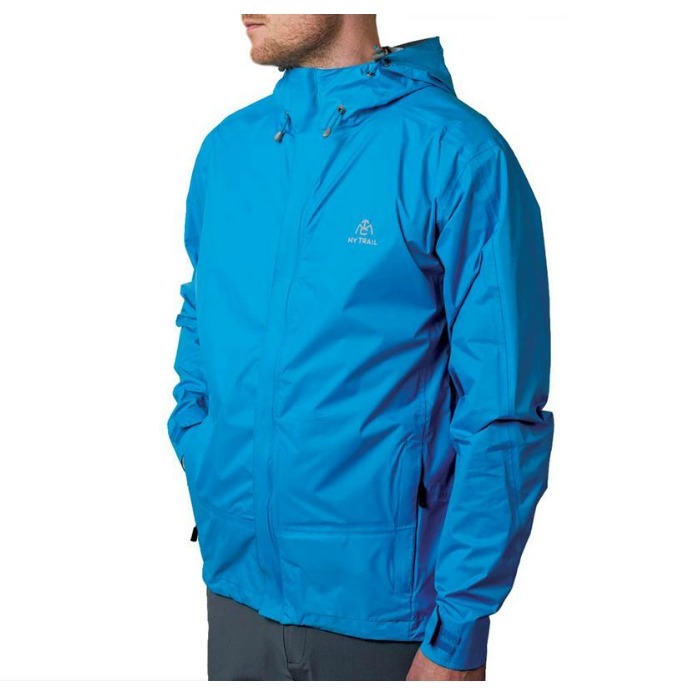 The Patagonia Storm Racer (men's and women's) is a lightweight and durable minimalist rain jacket. While other jackets in this same weight range may feel plasticy, the Storm Racer is incredibly soft and comfortable against your skin. It has an adjustable hood and hem, with half elastic wrist cuffs that do a pretty good job of sealing off bad weather. It packs down into it's own chest pocket for easy storage. In order to shave ounces, you won't find any hand pockets, which can be downside for some. This jacket isn't cheap, but if you're looking for a comfortable ultralight rain coat made with high quality materials, we recommend checking out the Storm Racer. The sizing is a slim fit and runs a bit on the small side. NOTE: If you're looking for a jacket with similar comfort and don't mind carrying a couple ounces to save some money, check out the Patagonia Stretch Rainshadow. The ultralight and highly packable Zeta FL (men’s & women’s) is an excellent choice for the weight-conscious hiker. Sacrificing thicker materials and a liner layer to shave every possible ounce, this jacket still feels great against the skin, repels nasty weather easily, and has an excellent athletic fit. The no-frills design of the Zeta FL does abandons some typical rain shell offerings, for example there are no hem adjustments or velcro cuffs. But if you’re okay with minimal adjustability and you’re looking for a high-quality, ultralight rain shell, this may be the jacket for you. If you’re willing to carry a few more ounces for a thicker, more durable rain jacket, the Arc’teryx Zeta SL is worth consideration too. The Marmot Pre-Cip (men's and women's) is one of the most popular and time-tested rain jackets in the backpacking community. It offers a solid balance between weight, functionality and cost. 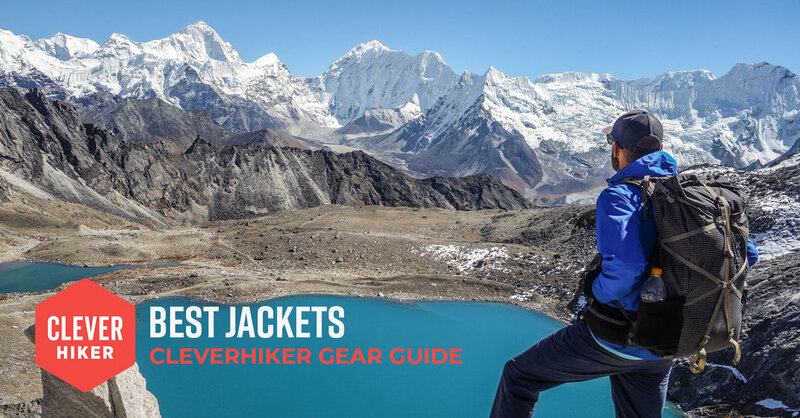 It's not the lightest jacket on this list, but it's full of features we like, such as an adjustable/ stowable hood, hand pockets, and pit zips. The Pre-Cip also conveniently packs down into its own pocket. For a full-featured, affordable rain jacket, the Marmot Pre-Cip is a great buy. NOTE: If you don't mind carrying a little extra weight and bulk for increased toughness, the Marmot Minimalist may be a good option as well. The Outdoor Research Helium II (men's and women's) is extremely light, comfortable, and stylish. It packs into its single chest pocket for easy storage and has a simple and effective design. Outdoor Research cut out all the extras to keep weight down, so this model doesn’t have front pockets, adjustable wrist straps, or pit zips. It's a great option for minimalist backpackers, but won't be nearly as functional around town. NOTE: If you're looking for a rain jacket with more features and durability, yet still only 11 oz, the Outdoor Research Realm is a good option. We love the lightweight, stretchy, and comfortable Stretch Rainshadow (men's and women's). Patagonia uses their breathable H2No Performance Standard shell fabric to create a jacket that moves with you. The material is so lightweight it can stuff into it's own chest pocket for easy packing and saving space. If you want to shave more ounces off your jacket and don't mind giving up some features like hand pockets, we also love Patagonia's 6 oz. Storm Racer Jacket. 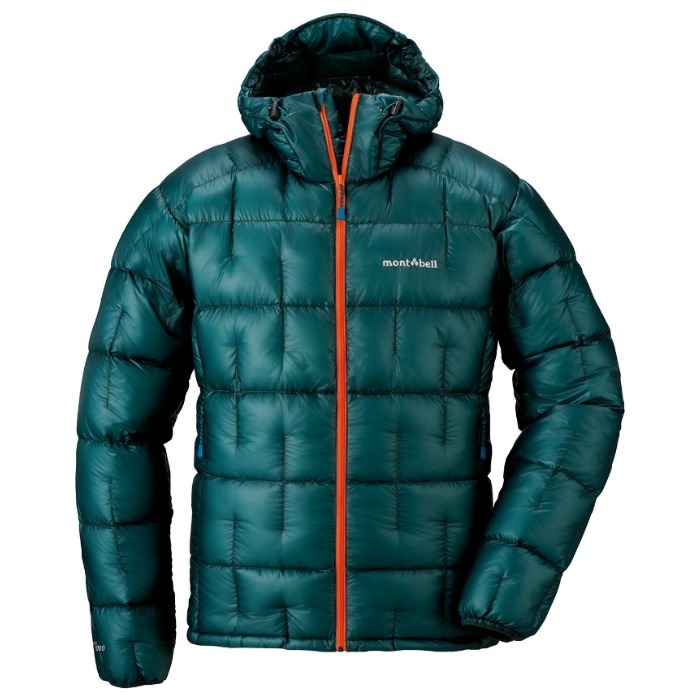 NOTE: For a slightly heavier and more affordable option, Patagonia also offers the popular Torrentshell. The Rab Kinetic Plus Rain Jacket (men's and women's) defies the stiff status quo for raincoats. Rab’s new ProFlex material is stretchy yet durable, comfortable, and highly breathable. It feels like a soft-shell jacket, rather than the type of restrictive rain shells we're all accustomed to. One downside is this jacket lacks pit zips for ventilation, which can be a deal breaker for some. We've also found that the sizing runs a bit small. 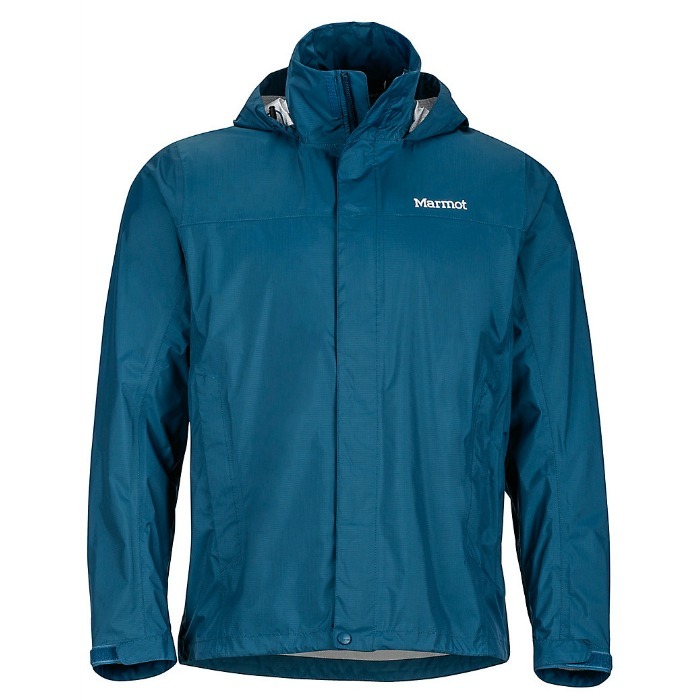 The Montane Minimus jacket is well crafted and stylish. It packs down to about the size of an apple and is very light. One of the best qualities about this jacket is it's fit and precision tailoring. It has one chest zipper pocket, an adjustable hood, wrist cinch straps, and an elastic waist cinch (no pit-zips or front pockets). It has a higher MSRP than the similar-in-style OR Helium II, but we think it's worth the price tag. My Trail Co makes some great gear for backpackers on a budget. The Storm UL jacket (men's and women's) is built with economical materials, but it's still a full-featured waterproof rain jacket light enough for the trail. It's functional features include hand pockets, velcro wrist cuffs, pit zips, and an adjustable hood/hem. We don't find the Storm UL to be quite as stylish or comfortable as the other jackets on this list, but for cost, weight, and functionality, it's tough to beat. If you're looking to round out your rain gear, My Trail Co also offers the Storm UL Rain Pants. A great down jacket might be the most beloved piece of gear in your pack. We find that even on summer trips, we usually wear our down coat multiple times every day. We generally prefer hooded down jackets that are lightweight, warm, sleek, and highly compressible. Down jackets can be expensive, but their warmth-to-weight value is nearly unbeatable, and if you treat them with care they'll last for many years. The MontBell Plasma 1000 has quickly become one of our favorite ultralight backpacking coats. It has a steep price tag, but we find it's quality to be exceptional, and think its cost will be worth it for the ravenous outdoor adventurer looking to get many years of backcountry use. Stuffed with 1000 fill power goose down, the Plasma has one of the best warmth-to-weight ratios on the market. Its puffy, comfortable, fits well, and has great hood and hem adjustments. The biggest downside to the Plasma in our eyes is it's price, which will make it prohibitive for many. However, if you're a thru-hiker or avid backcountry traveler looking for top-of-the-line ultralight warmth, the Plasma 1000 is pretty great. The 850 fill Ghost Whisperer (men - women) is comfortable, stylish, light, warm, and it comes with all the features you're looking for. 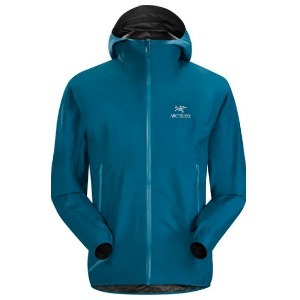 It has a hood and two small front pockets which make it a great choice for lightweight hiking and it packs into its own pocket for easy storage. Mountain Hardwear designed this fabric specifically for lightweight performance, which is why the price tag is so high, but we think it's worth the cost for frequent backcountry travelers. Patagonia’s new Micro Puff® Hoody provides the best warmth-to-weight ratio they've ever created in a jacket. Replacing our long-time favorite Ultralight Down Hoody, the Micro Puff uses down-like PlumaFill synthetic insulation, which provides lightweight warmth, great compressibility, and performs slightly better when wet compared to down. We also really like the slim athletic cut, the elastic fitting hood, and the way the jacket moves with you. Though not quite as lofty as down, this jacket will serve you well on most 3-season backpacking trips. 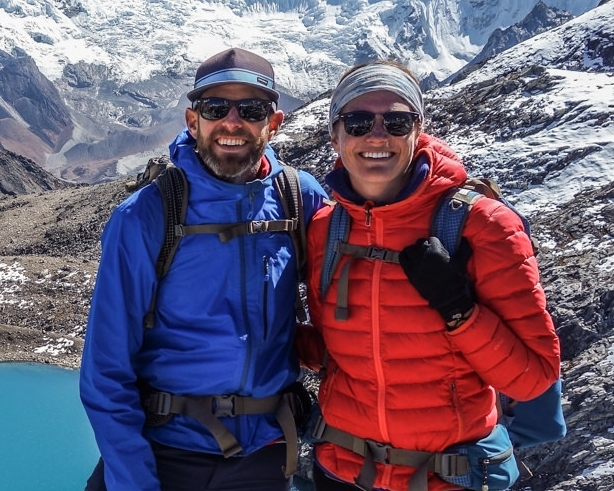 If you're willing to sacrifice some weight and compression for a budget-friendly option, we recommend checking out the My Trail Co Ultralight Hooded Down Jacket (men's and women's), Sierra Designs Whitney Dridown Hoodie (men's and women's), and My Trail Co Hyperlite Hooded Down Jacket (men's and women's). All three options are warm, comfortable, and have nice features for a reasonable price.